A beacon is to be lit on Old Oswestry hillfort as part of national Armistice Day commemorations marking 100 years since the end of World War One. 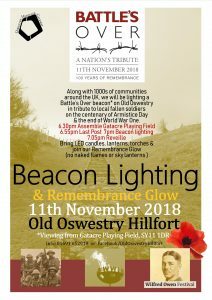 Preparations are underway by the Oswestry Heritage Gateway group for residents of the town and area to pay tribute to fallen WW1 soldiers as thousands of beacons are lit across the country at 7pm on November 11. A bugler will be sounding out the Last Post and Reveille across the ramparts and the participation of air cadets from 1165 (Oswestry) Squadron Air Training Corps has also been confirmed. 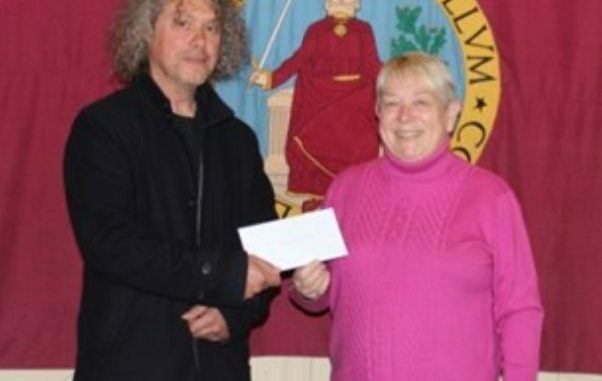 The community has been getting behind the event with pledges of funding, equipment or volunteer support, including Oswestry Town Council, Griffiths Hire Shops and Oswestry Cambrian Rotary. The organisers say that funding donations are still needed to make it an especially memorable occasion. Stewards are also being sought to help on the night, which is set to feature a remembrance glow with participants bringing LED candles, lanterns and torches (no naked ames). The hillfort beacon will conclude local ‘Battle’s Over’ commemorations on Armistice Day and has been curated as part of the Wilfred Owen festival dedicated to Oswestry’s famous son and war poet. The 3,000-year-old hillfort has poignant connections with the Great War. A system of practice trenches dug into the top of the earthwork, which survive intact today though buried, were used to prepare troops from the nearby Park Hall military camp for action on the Western Front. Wilfred Owen was stationed at Park Hall in October 1916 around the time he wrote the poem ‘Storm’. It would be his final return to his place of birth before being killed in battle in November 1918. Organisers at Oswestry Heritage Gateway are working in liaison with English Heritage, guardian of Old Oswestry, which is facilitating beacon lighting at other sites under its management.